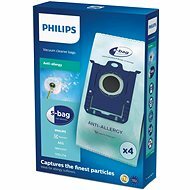 The E206B is an original set of four HEPA Anti-Allergy vacuum cleaner bags for optimum cleaning performance. 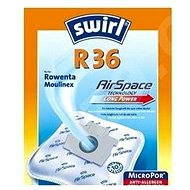 These HEPA Anti-Allergy bags ensure extreme suction power for the bag's entire lifetime. Thanks to the excellent multi-layer filtration, the bag can capture even the finest particles of dust, so the air in your home will be perfectly pure at all times. 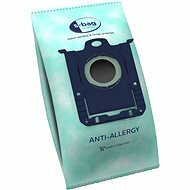 The bag is designed to filter up to 99% of pollen, dust mites, spores, dust and cat allergens as small as 0.1 microns! For shipping to other EU countries visit this page Electrolux E206B. Für Versand nach Deutschland, besuchen Sie bitte Electrolux E206B. Chcete doručit zboží do Česka? Prohlédněte si Electrolux E206B. Chcete doručiť tovar na Slovensko? Prezrite si Electrolux E206B. Für Versand nach Österreich, besuchen Sie bitte Electrolux E206B. Magyarországra történő kiszállításért tekintse meg ezt a termékoldalt: Electrolux E206B.